There couldn’t be greater contrast between the ordered ambiance of Cookham village and the strange life of its most famous inhabitant, artist Stanley Spencer. At the same time, his inward looking painting and introverted life seems a perfect match for the quiet Thames-side setting. 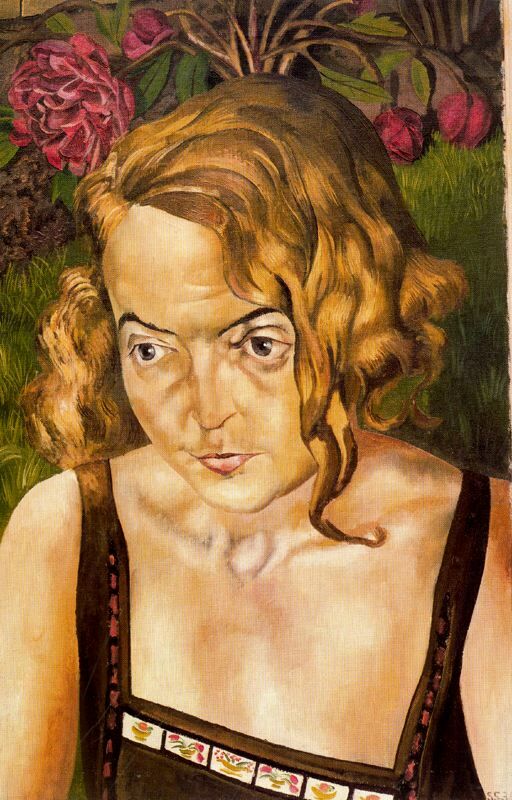 The Stanley Spencer Gallery lies at one end of Cookham’s High Street. Housed in a repurposed church, fitting his wishes for an appropriate setting, the two-level gallery displays around 30 varied works (the majority of his estate went to the Tate). I wasn’t really familiar with him prior to visiting, but his art became familiar to the British during the 80’s after several well-received retrospectives. Spencer worked in the early 20th century, World War I and the Depression, crafting oil paintings that look Deco-modernist to me. His life story seems sad and frustrated, shaped both by spiritual convictions and wartime experiences. His works, well executed, nonetheless seem inconsistent and contradictory. A deeply religious man, there’s humorous touches that keeps them light and original (who else has shown the disciple’s feet so prominently at the Last Supper?). Deeply disappointed in love, at once charged and repressed, he painted his personal tensions into grotesque realism. I doubt that any of his wives thought that his depictions were flattering. He puts a lot of detail into his paintings, but I don’t see the connection to the pre-Raphaelite styles. He seems to have struggled with drawing hands in the same ways that I once did, graceful fingers angular and gnarled as tree limbs. But, charmingly, he focused on everyday people: farmers, workmen, infantrymen, and housewives. A child rifles a drawer from beneath his mother’s skirts; welders put the finishing touches on steel hulls in the shipyards. His landscapes are both flat and deep: punts lining the Thames shoreline, trees sway beyond fields, but all with layered perspective across a vertical composition. It’s all good and interesting work, worth a stop to study a unique and eclectic talent.